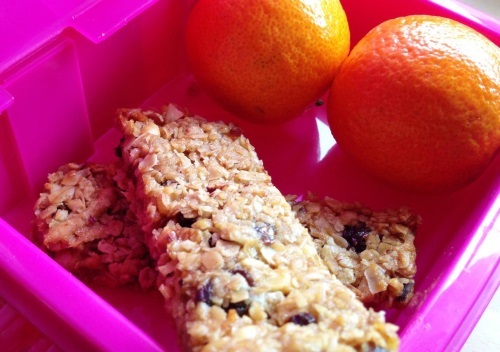 These cereal bars are so yummy you could eat them at breakfast, as a healthy sweet treat in your lunchbox, or even as a dessert after your dinner. 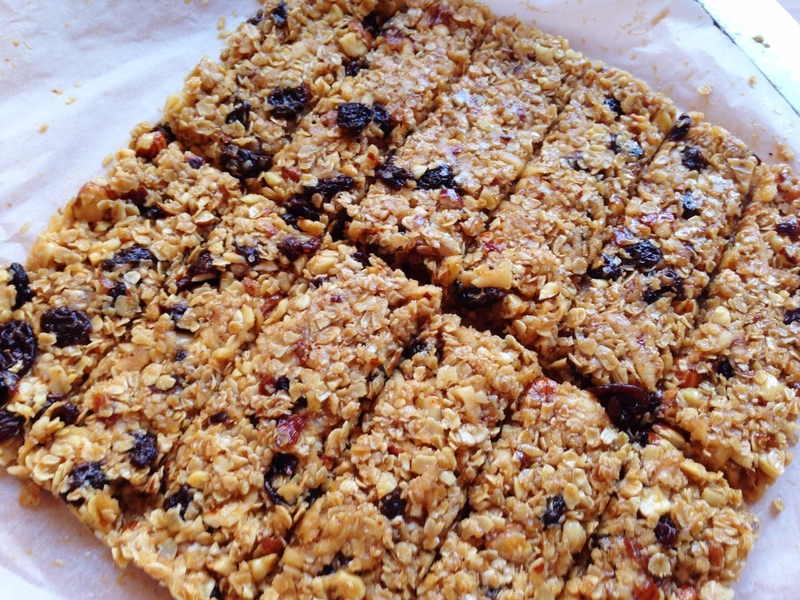 There are two great things about this recipe for making your own cereal bars: 1) it’s easy and 2) you can design it to suit your tastes. Because they’re our favourites, we’re going to give you the recipes for chocolate & cranberry, and apple & raisin, but you can alter the basic recipe any way you like to create your own yummy bar. 1. Preheat the oven to 180c, 350f, gas 4. Get your grown-up chopping up nuts (and peeling the apple, if making the raisin & apple version). 2. 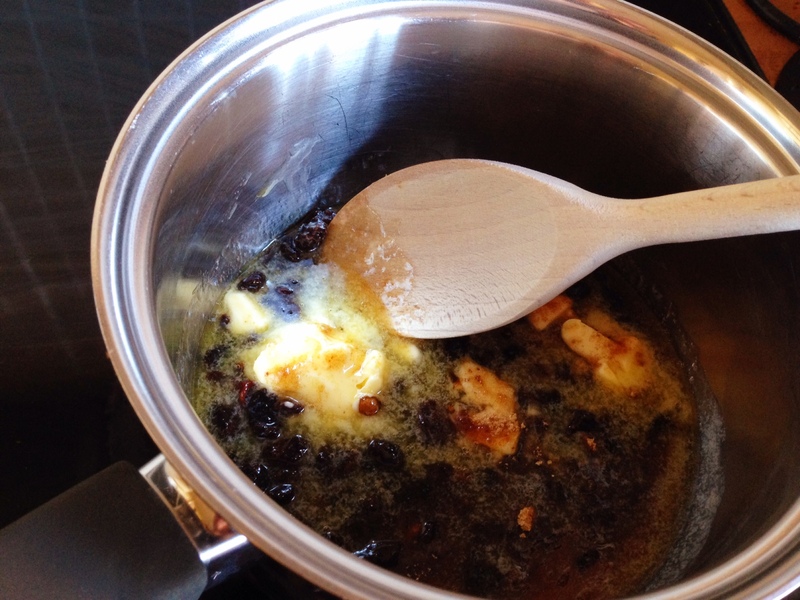 Put your butter, honey, brown sugar, and dried fruit into a saucepan. Heat it on a medium heat until the butter has melted and the sugar has desolved. 2a. 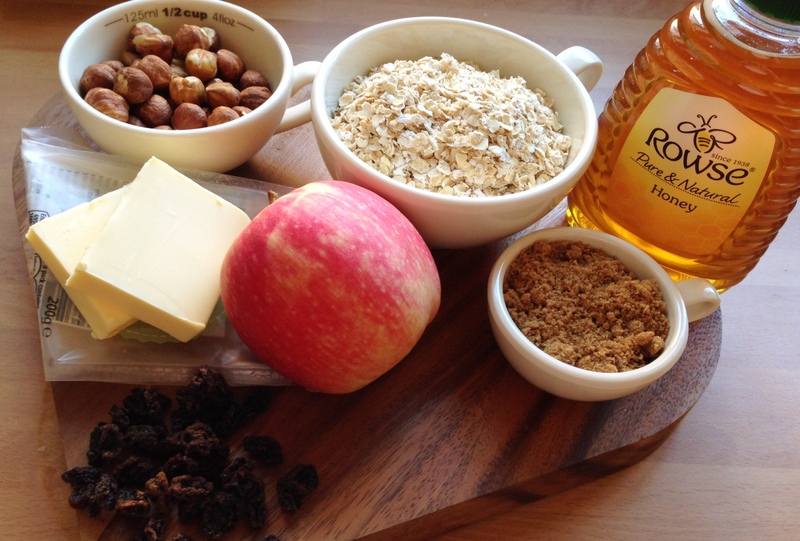 If making the raisin & apple cereal bars, grate your apple coarsely (using the big side of the grater). 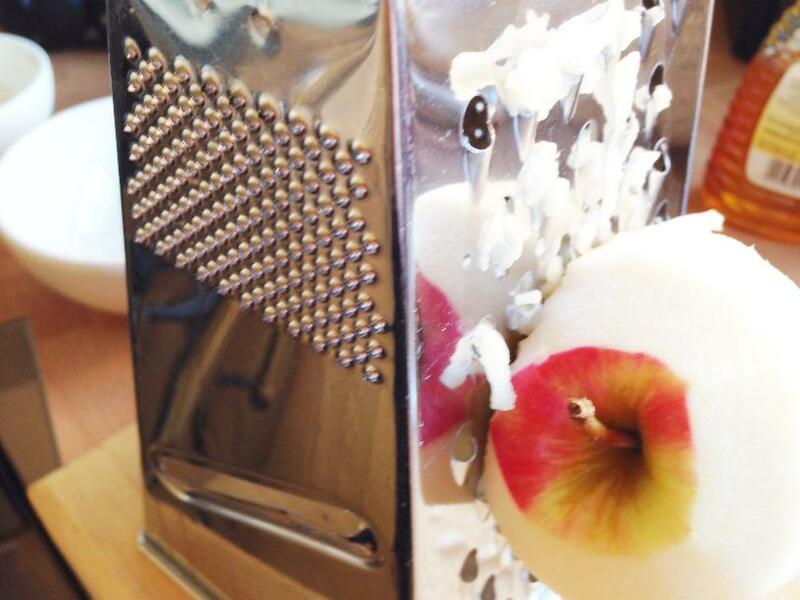 Move the apple around as you grate until you are only left with the core. 3. 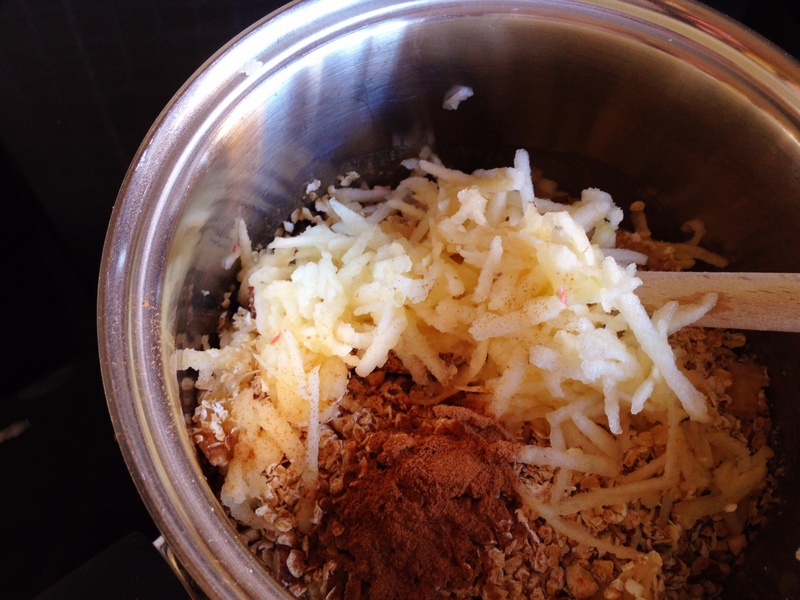 Put all the rest of your ingredients into the saucepan, and mix it altogether until everything is coated and sticky. 4. 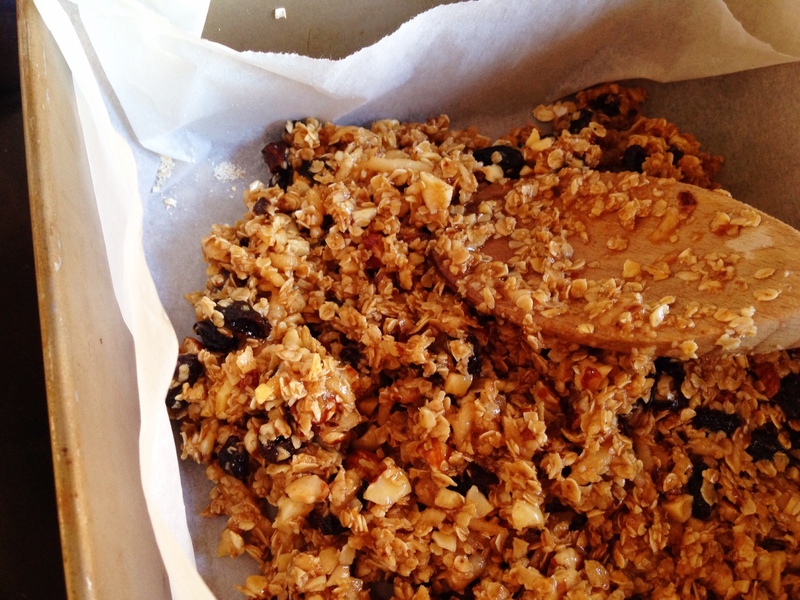 Press your mixture into a lined 20cm (8 inch) square tin. Press down firmly to make sure your bars will stick together when cut. 5. Bake in the oven for 15-20 minutes. They won’t change colour much, just a very light gold around the edge. 5a. If decorating with more chocolate chips, wait for the mix to cool for 10 minutes and then push them into the top of the mix, which should still be soft. 7. Allow to cool, and cut into 12 bars. These cereal bars will keep for around a week in a sealed container. What other flavour combinations could you try? What about apricot & almond, or fig & walnut? Let us know how you get on.